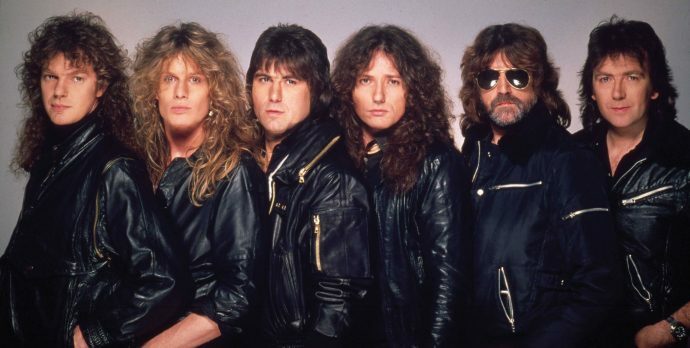 Whitesnake scored its first platinum-selling album in 1984 with Slide It In, a release that has sold more than six million copies worldwide thanks to hard-rocking songs like “Love Ain’t No Stranger,” “Slow An’ Easy” and the title track. The classic album turns 35 this year and Rhino / Parlophone is celebrating with several new versions, including an enormous seven-disc boxed set. SLIDE IT IN: THE ULTIMATE SPECIAL EDITION is available now. 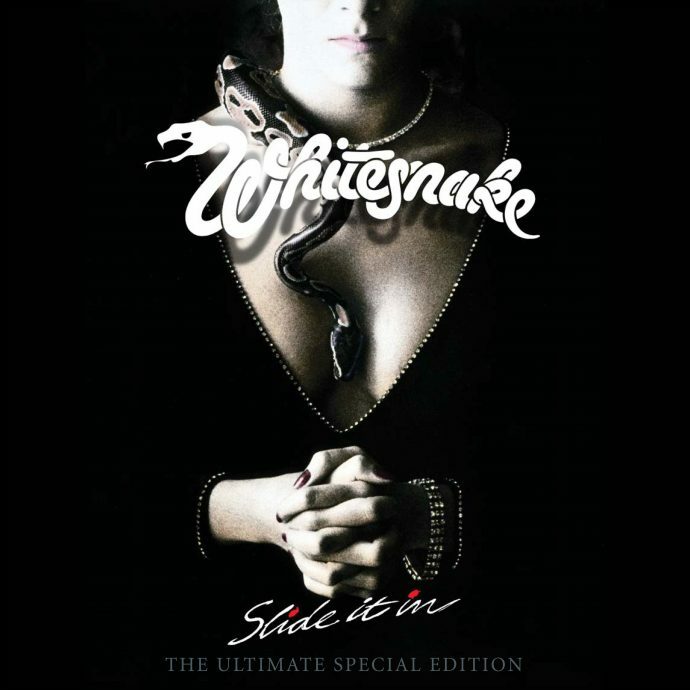 The 6CD/DVD collection includes newly remastered versions of both the U.K. and U.S. mixes of the album as well as the 35th Anniversary Remixes from 2019, plus unreleased live and studio recordings, music videos, concert footage, and a new interview with Whitesnake founder and lead singer, David Coverdale. Three other versions of Slide It In are also available now. A double-CD Deluxe Edition includes the newly remastered U.K. and U.S. mixes expanded with a selection of bonus tracks. The double-LP Deluxe Edition features the newly remastered U.K. and U.S. mixes. And finally, a single-disc version includes the newly remastered brand-new mix of the complete album. The music is available digitally as well. SLIDE IT IN: THE ULTIMATE SPECIAL EDITION features unreleased versions of every album track, including 35thAnniversary remixes made this year, as well as monitor mixes recorded in 1983. The set boasts more than a dozen unreleased live recordings from 1984 that feature an entire concert from Glasgow, Scotland, plus several songs from Jon Lord’s final show with Whitesnake in Sweden. The collection’s final disc unearths 30 tracks that cover original demos and early mixes for album tracks, as well as unfinished song ideas. I am interested. Please send details for purchasing. When will this be available for pre order on Canadian Amazon and iTunes? ¡ Muy bien ! Quiero comprarlo. The 35th Anniversary Remixes (2019) – is that based on the original UK or US version? I’m so excited to hear the remastered versions of this classic album, along with all the other treats David is sharing with us. The Whitesnake Choir is warming up to sing along! ‘Reading An’ Willing’? Is that a Berkshire specific re-mix? Still can’t find any info anywhere about whether the 35th Anniversary Remixes are based on the (original) UK or US version! Come on site admin – please clarify. I think the 2019 mix is from the US multitracks. Any explanation about single edition version of slide it in not being 2019 remix?